A simple design helps make this Liberty Calligraphy I 1-3/16 in. Bronze with Copper Highlights Vignette Knob the perfect finishing touch to almost any kitchen or bathroom. Make a statement without having to say anything at all when this knob is displayed. Hardware for installation is included. Inspired by the natural qualities of water, the Bubble Glass knob from Liberty offers a whimsical finishing touch. This knob is easy to install and is ideal for bathroom vanities or furniture makeovers. The bold blue tone works with a variety of painted and stained wood finishes. The Liberty Bundled Reed 1-1/8 in. 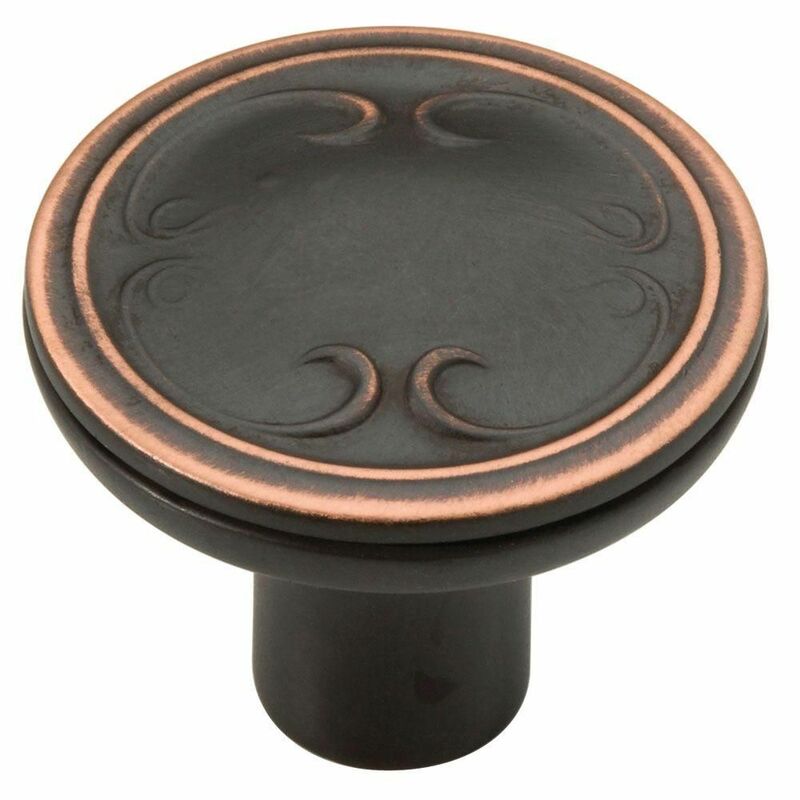 Oil-Rubbed Bronze Panache Knob features a traditional design and a decorative finish to add a beautiful accent to your kitchen and bathroom cabinets. Compatible with standard 3/4 in. drawer fronts and cabinet faces. Installation is easy and the necessary hardware is included. 31mm Vignette Knob A simple design helps make this Liberty Calligraphy I 1-3/16 in. Bronze with Copper Highlights Vignette Knob the perfect finishing touch to almost any kitchen or bathroom. Make a statement without having to say anything at all when this knob is displayed. Hardware for installation is included. 31mm Vignette Knob is rated 5.0 out of 5 by 5. Rated 5 out of 5 by Ruth from Nice looking! Nice looking! Rated 5 out of 5 by ParttTimer from Exactly what I wanted Thses knobs were purschased as a gift and they were a perfect match. Delivery was super fast and I am very pleased!